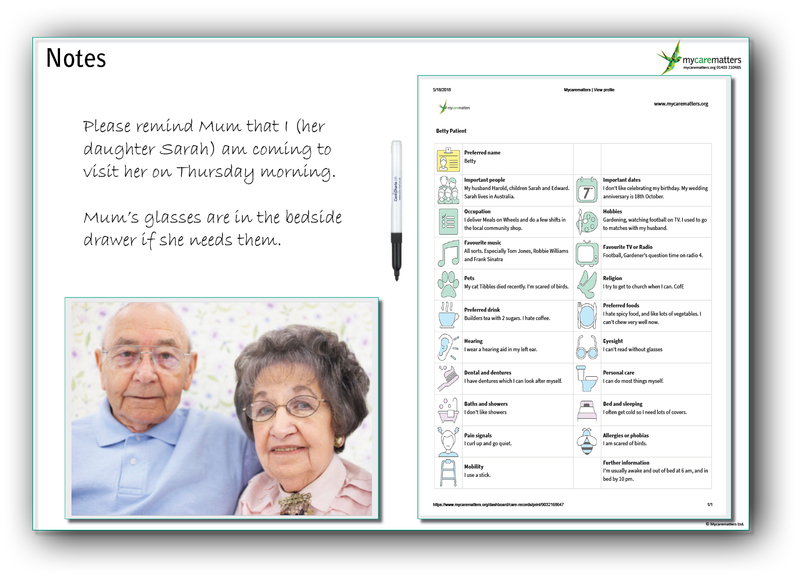 All the benefits of our Twist-N-View Image Care Charts, with the added flexibility of being able to change the picture on the front whenever you like. 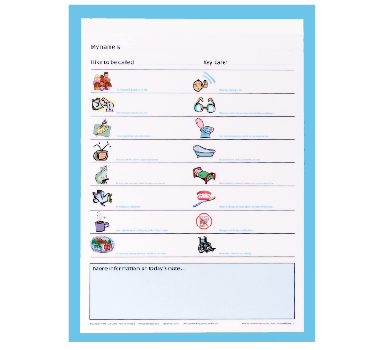 Use the reverse of the Care Chart (6 charts and hangers included in pack) to ensure a person’s needs and preferences are available to everyone interacting with an individual, and swap the picture whenever the resident would like a change. A great conversation starter and relationship builder. What you’ll get: Twist-N-View Display Care Charts (includes clear plastic pocket) x 6; Hanging mechanism x 6; Full colour images to display in front pocket: 2 sets of 6 images; Dry wipe marker pens x 6; Velcro pen fixing x 6; Damage-free hooks x 6. 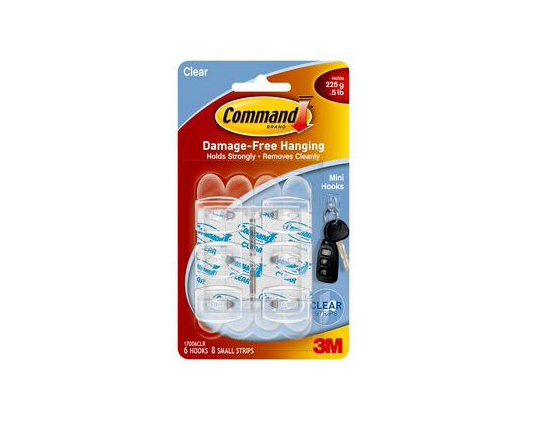 We sell these products individually, but this pack not only saves you the bother of searching out each item but also offers a reduction of over 25% of the total cost! We all like a bit of variety in life, so using our Twist-N-View Display Care Charts enables the picture displayed to be changed whenever required. 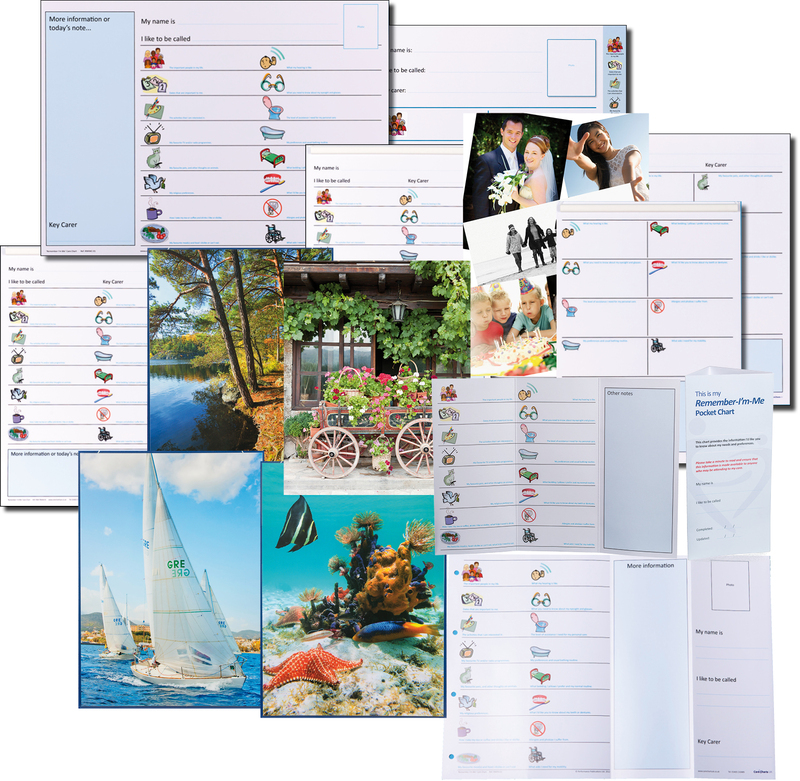 A great conversation starter / relationship builder plus the images provided with the pack does away with the need for you to produce anything to go in the display pocket yourself. 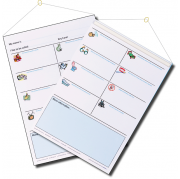 What you’ll get: Twist-N-View Display Care Charts (includes clear plastic pocket) x 6; Hanging mechanism x 6; Full colour images to display in front pocket, set of 6 x 2; Dry wipe marker pens x 6; Velcro pen fixing x 6; Damage-free hooks x 6.